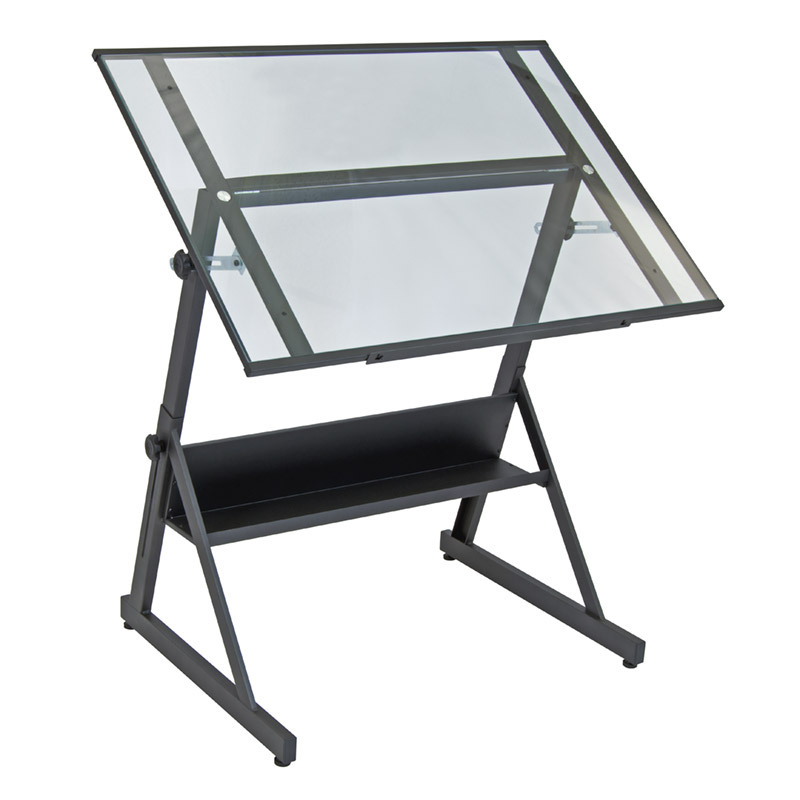 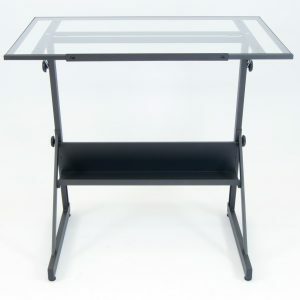 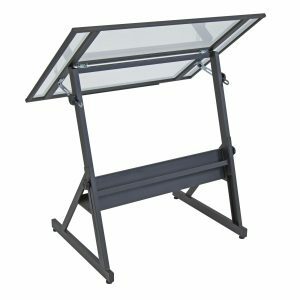 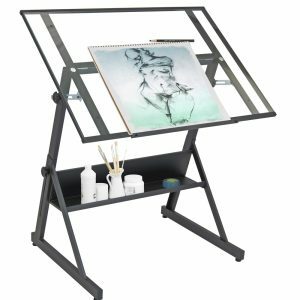 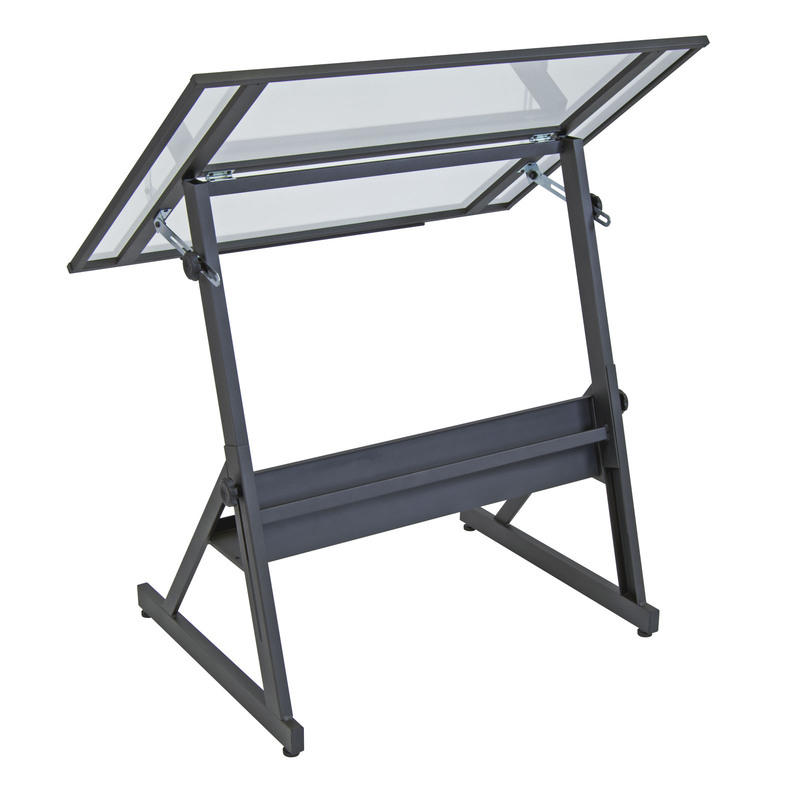 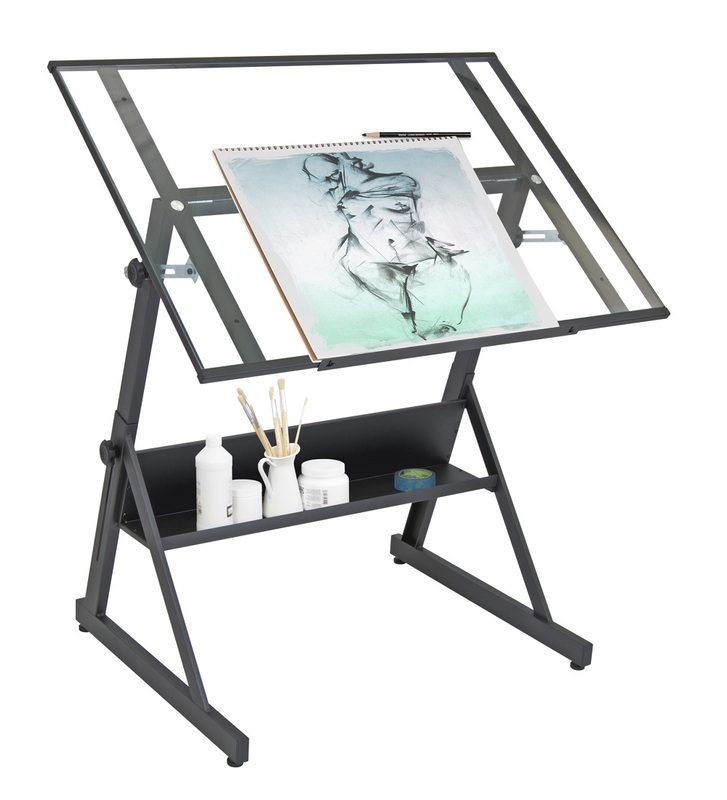 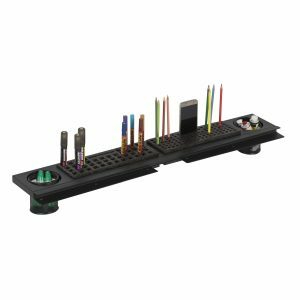 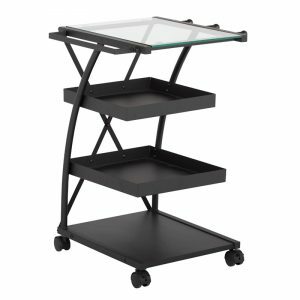 Our Solano Height Adjustable Drawing Table brightens up your work area so your creative juices can run free. 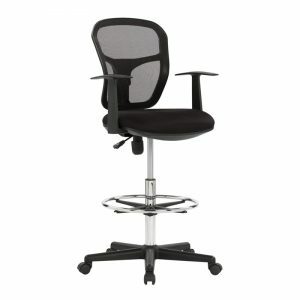 Don't be fooled by its simple design. 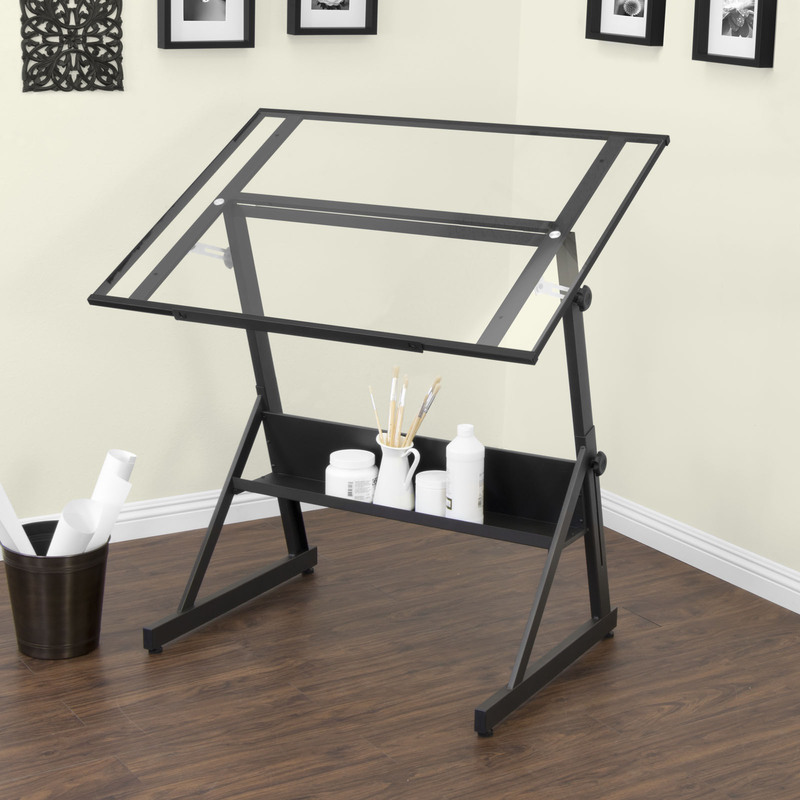 Its triangular shape keeps it rock steady, and four-floor levelers help if your floors are less than perfect. 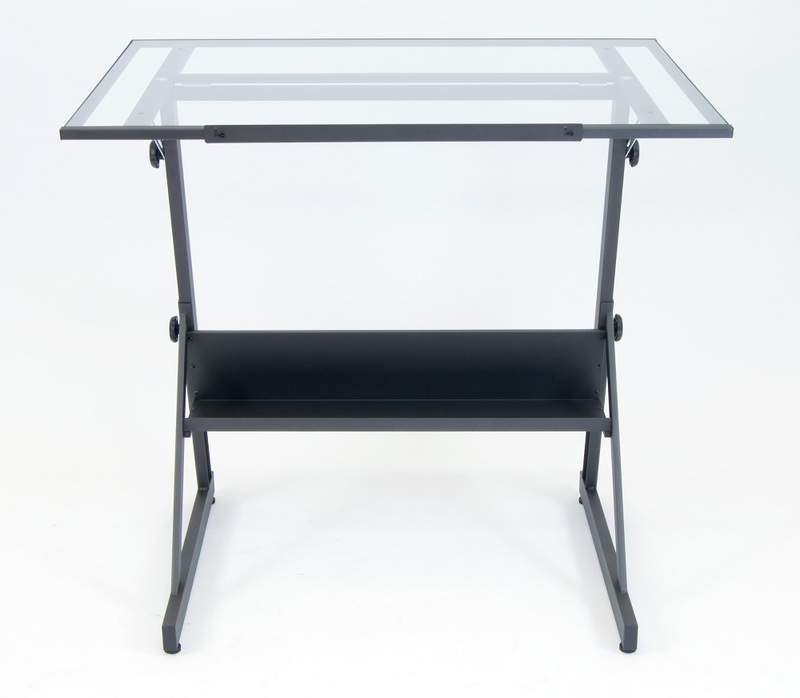 These beautiful tables feature easy height adjustment and a tilt angle that goes from flat to a near perfect vertical (80 degrees!). 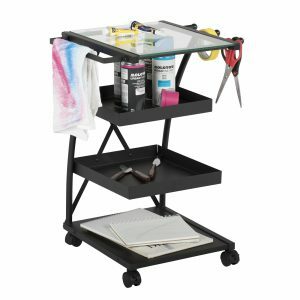 All this plus a convenient shelf for your "go to" supplies. 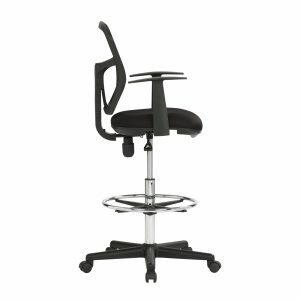 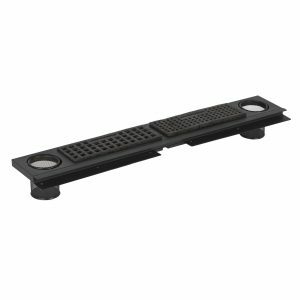 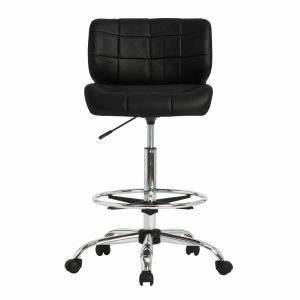 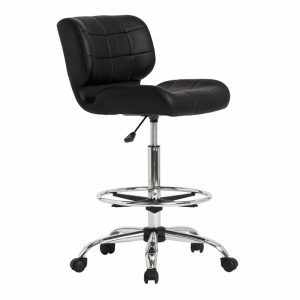 Height Adjusts from 29.25" to 39.25"